The Pagan holiday of Joninės is coming up this weekend in Lithuania. Though Lithuania is a predominantly Catholic nation, it was the last country in Europe to convert to Christianity, and many of its Pagan traditions and customs have survived. Here are 10 great locations in Lithuania to visit that will bring you closer to the old gods! 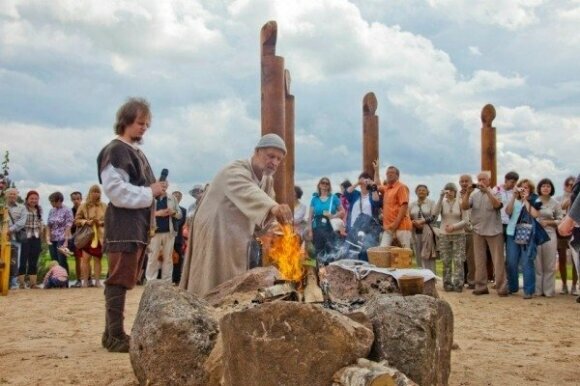 The Žemaičių Alka, or Samogitian holy place, is a site of pagan worship constructed according to the remains found on Birutės hill in Palanga by historians. The Alka is an important place of worship for the Lithuanian Romuva neo-Pagan church, which holds celebrations and ceremonies there. 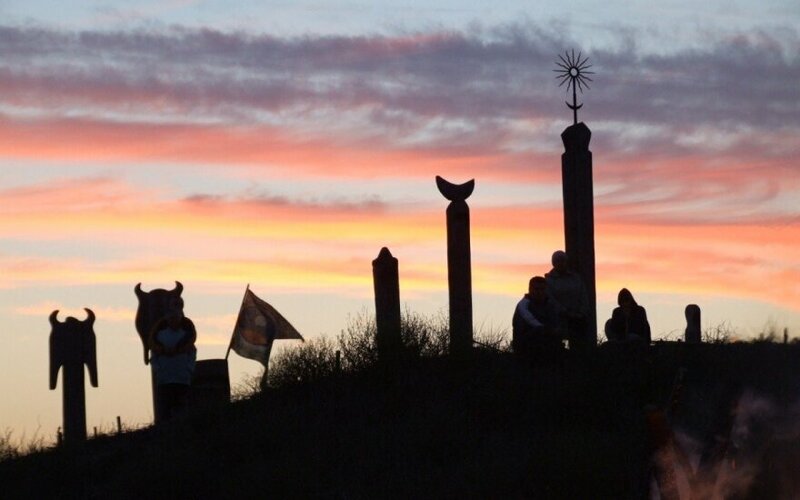 A number of wooden statues of Baltic Pagan deities guard the site, and the shadows they cast as the sun sets over the Baltic Sea can be used to determine the dates of various Pagan celebrations. 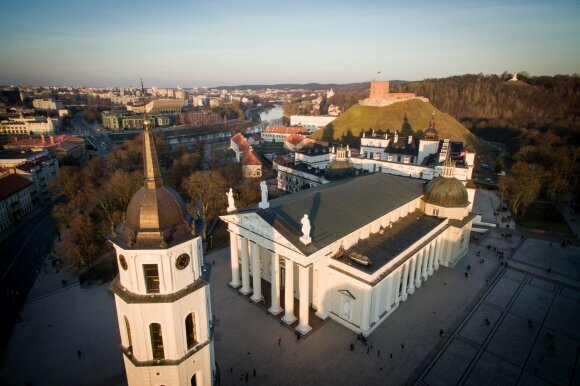 That's right – Vilnius Cathedral! Historians and archaeologists suspect that the cathedral was built on the remains of a sacred oak tree grove. Moreover, the original wooden cathedral was built in that location in the 1250s by Mindaugas after he converted to Christianity. After his death, the cathedral was converted back to a Pagan temple until Lithuania was converted to Christianity. The Museum of Baltic Deities in the village of Naisiai in northern Lithuania is the only one of its kind in Lithuania. 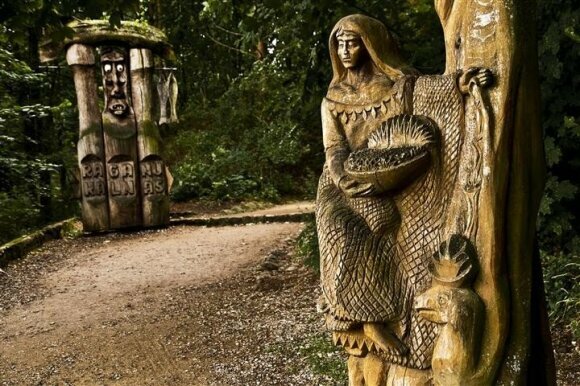 The outdoor museum features 54 hand-carved wooden statues of Baltic Pagan deities and information about what the Pagans might have believed about these gods. Modern neo-Pagan worshippers also use this site for ceremonies. Through both legends and archaeological evidence, Birutės hill in Palanga is closely tied to the region's Pagan history. The hill features a pine grove that is hundreds of years old and that many locals consider sacred. On and around the hill, archaeologists have found signs of defensive wooden fortifications, shards of pottery from the first millennium, and the remains of a village at the hill's foot. Legends say that the hill's namesake, Birutė, maintained a sacred eternal fire at the top of the hill, which also had a paleo-astrological observatory. 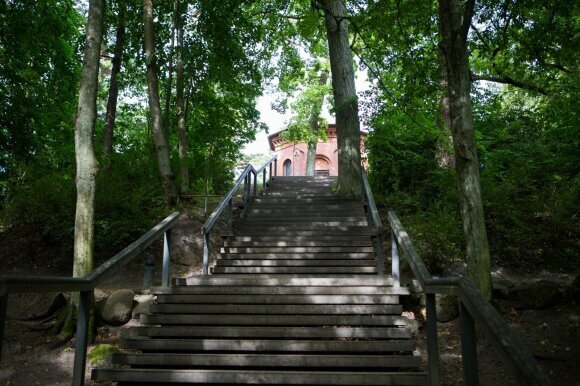 Today, a small chapel stands at the top of the hill, which also offers a beautiful view of the Baltic Sea. Kernavė was the first known capital of the Grand Duchy of Lithuania, and it was a treasure trove for archaeologists looking to find remains of Lithuania's Pagan past. The site is important both to the scientific community and to Lithuanian neo-Pagans, who celebrate a number of Pagan holidays on the site. This weekend, they will be celebrating Joninės there, but if you miss the party, the site is still worth visiting due to the fascinating archaeological museum located there. 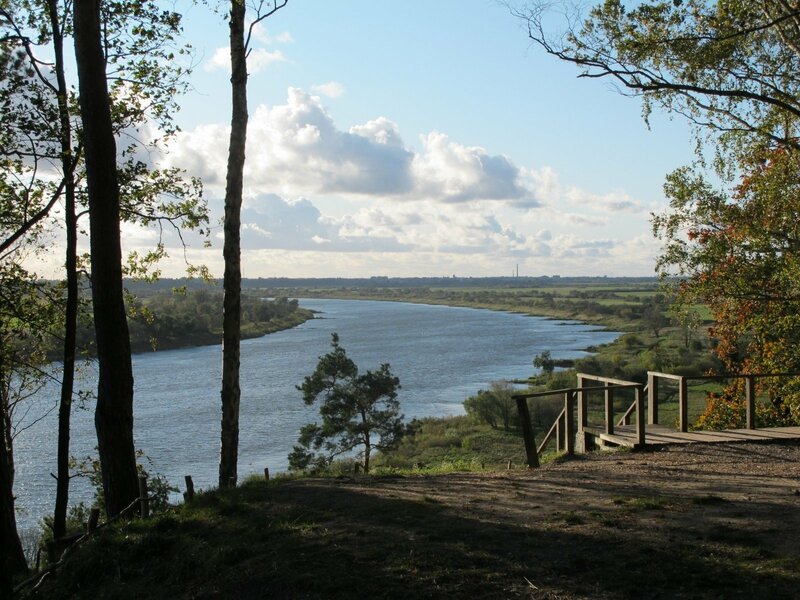 Rambynas hill is located in south-western Lithuania right on Lithuania's border with Russia's Kaliningrad Oblast. 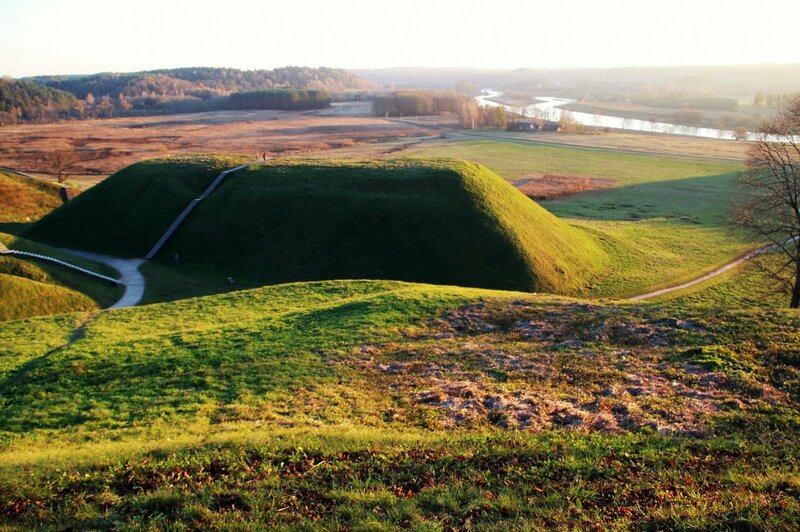 The hill is known to have long been a sacred site for the Skalvians, a Pagan Baltic tribe. Legends also say that the hill once held a wooden castle, though archaeologists haven't found any evidence to back up these legends. Today, the hill offers a beautiful view of the Nemunas and a small peek into the Russian-held Kaliningrad territory. The Hill of Witches in Neringa, Lithuania is an outdoor wooden sculpture art gallery that displays Baltic Pagan deities, legendary and mythological figures, monsters, and other characters from Lithuania's folk history. 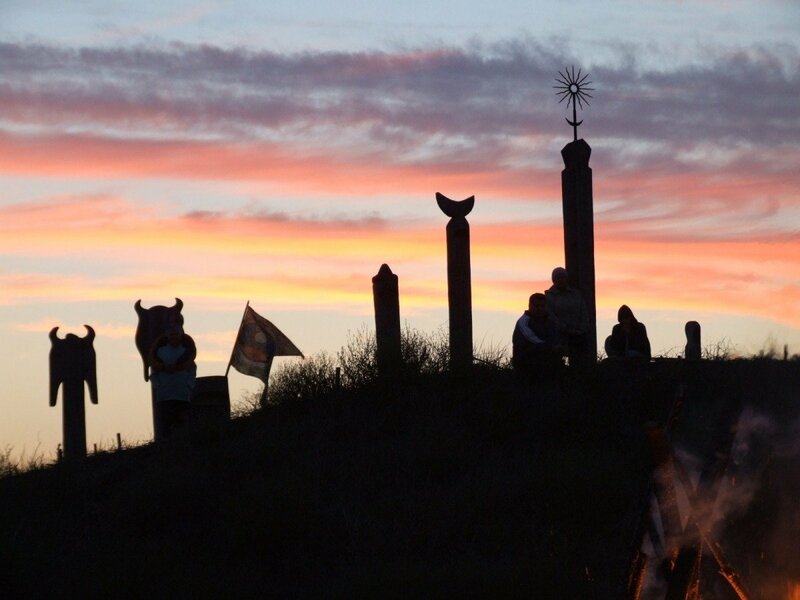 Given the hill's wild and surreal appearance, it is also a popular site for neo-Pagan celebrations and ceremonies. Though not a Pagan site, strictly speaking, the Devil Museum in Kaunas is an important showcase of the pre-Christian notion of the devil in Lithuania as more of a playful trickster rather than the embodiment of evil. 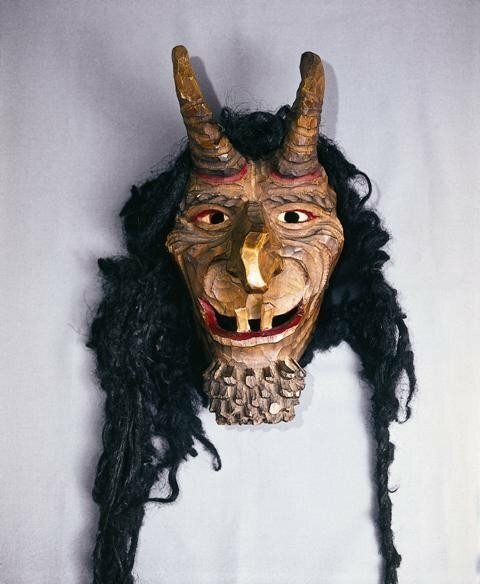 Though the museum features an extensive collection of Lithuanian folk art featuring devils, it also includes a collection of devils from all over the world contributed by visitors. 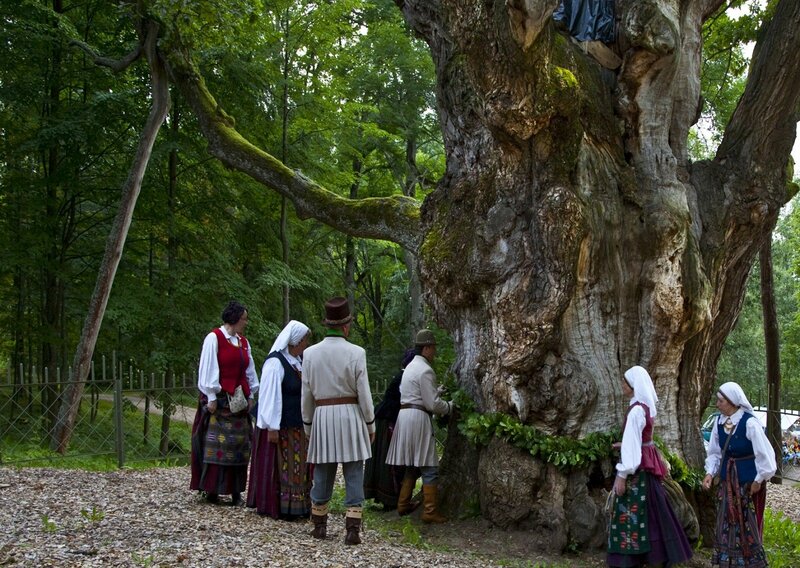 Oak trees were of special importance in Baltic Pagan worship and legends, and there are numerous oak groves in Lithuania that some archaeologists suspect may have been of spiritual importance to the ancient Balts. One such oak is the Stelmužė Oak in Zarasai in Northern Lithuania. The enormous oak, with a girth of about 13 meters, is suspected to be between 1,500 and 2,000 years old, which makes it the oldest known oak in Lithuania and one of the oldest in Europe. Some suspect that the tree was an ancient site of worship. Though located near an evangelical Lutheran church, the ethnographic cemetery in Nida can give visitors an idea of how the Curonian Baltic people traditionally buried their dead. 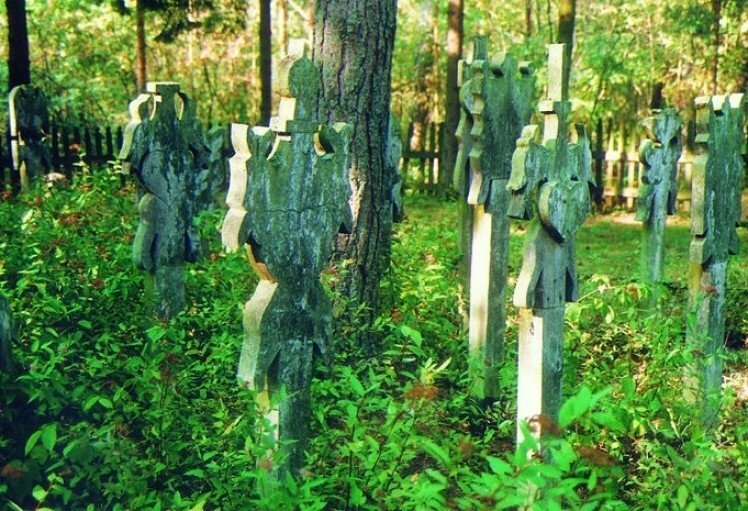 In this cemetery, all of the graves are marked with upright wooden boards carved with the deceased's name and various Baltic and Curonian designs and symbols.